Not too long ago, the Germany-based mobile games developer Fishlabs released yet another exclusive content update for their hit iOS title, Sports Car Challenge 2. 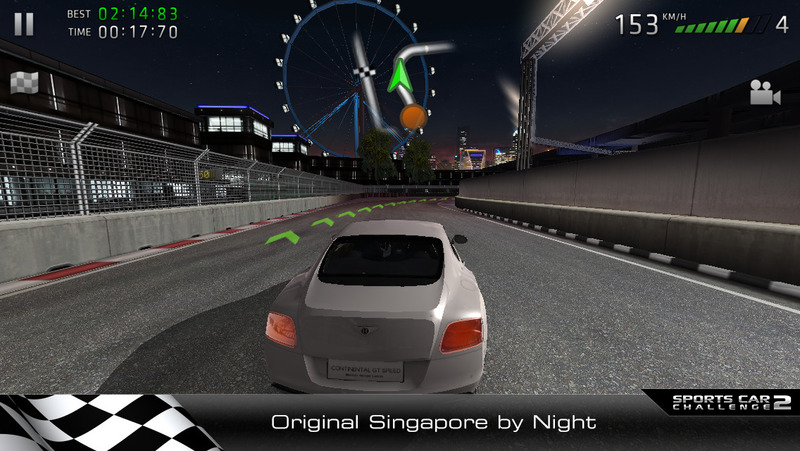 With this new update, which just went live on the App Store, a brand-new super sports car — the Bentley Continental GT Speed — has been added to the game’s car roster. All in all, the players of the Sports Car Challenge series can now choose between nearly twenty high-performance sports cars from six of the most renowned brands of the Volkswagen Group. For those interested, the Continental GT Speed sports one beast of an W12 engine with an insane 635-horsepower. Don’t think that’s enough? The car can go to 0 to 60 MPH in a mere 4 seconds and reach a top speed of 206 miles per hour. Best of all, this update featuring the Bentley Continental GT Speed is completely free to download to those who already have the game installed on their iOS device. On the other hand if you’ve never downloaded Sports Car Challenge 2 before, you can pick it up on the App Store for free by clicking here. Entries (RSS) | Comments (RSS) | 85 queries in 0.867 seconds.